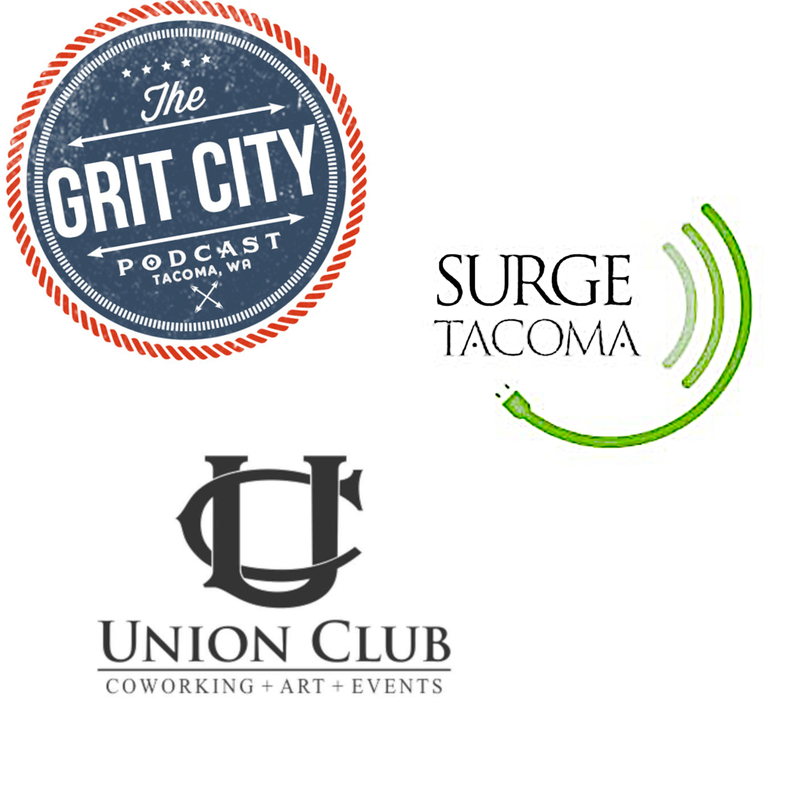 The Grit City Podcast: SURGE Tacoma and The Union Club. 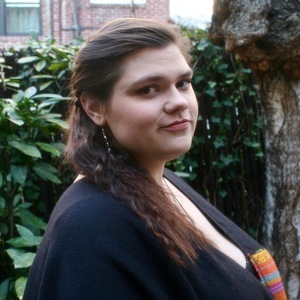 On this episode the guys visit Alice Lubic and Guion Rosenzweig from SURGE. They recorded at the Union Club location. SURGE Coworking “empowers startups, freelancers, entrepreneurs, students, and non-profits by providing state of the art offices, coworking space, resources and networking opportunities, freeing up members time and energy to focus on their goals.” They have three locations in Tacoma: Union Club at 539 Broadway, SURGE Tacoma at 2367 Tacoma Ave S, and SURGE South Tacoma at 5401 S. Tacoma Way. The show kicks off with discussion of Alice recently moving to Tacoma and what shared workspace means. They discuss the importance of having a shared workspace and the SURGE locations around Tacoma. Justin talks about growing up in Tacoma, a friend of the podcast, Rusty, opening a new bar in the area, and the different levels of SURGE membership, starting at $50 a month. 15:00 – They cover the history behind the velvet room in the Union Club, the Northwest Room at the Tacoma Public Library, and the aesthetic of the SURGE office on 54th and Tacoma Way that’s going to open in August. 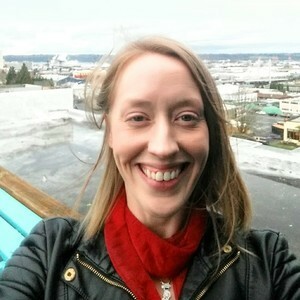 Alice talks about her transition from New York to Tacoma, the guys chat about Art on the Ave, and Justin’s first tour of the building. 31:18 –They discuss the 24/7 access offered at SURGE, touch again on the different packages, and the businesses that they have helped grow with the shared work environment. Justin asks about SURGE helping businesses with their online presence, the dedicated desks at SURGE and the community that environment has helped build with customers that use their workspace. The show comes to an end with conversation on how people can get tours, SURGE’s flexibility for customers, like month to month costs, and where people can find them online. Thanks Alice and Guion for an inside look at what SURGE has to offer! Surge Coworking — SURGE Coworking empowers startups, freelancers, entrepreneurs, students, and non-profits by providing state of the art offices, coworking space, resources and networking opportunities, freeing up members time and energy to focus on their goals. Union Club Tacoma — The Union Club is a mixed-use project contributing to Tacoma’s growing artistic and entrepreneurial community. It combines studio space, coworking space, office space, beautiful common areas, galleries and an event hall in a 15,000 square foot historic building in downtown Tacoma.